Dermatophytosis is an infectious disease caused by fungi known as dermatophytes. This fungus belong to a family of organisms that can break down the keratin in epidermis, nails, horns and hooves, epidermis, and nails. Mostly thriving in soil and involved in soil decomposition, these fungi can infect living hosts as well. Dermatophytosis treatment has unique features. Firstly, the disease is present only on the skin’s keratin and it feeds on keratin for nutrition. However, the presence of the fungus on the skin and its metabolic products causes an allergic reaction in the host. It can affect a host of body parts. This includes the scalp, groin, feet, bearded skin of the face, and the nails. The symptom of Dermatophytosis vary from mild inflammations to severe vesicular reactions. Dermatophytosis develops either through direct contact with infected wounds or indirectly through infected towels, shoes, or shower stalls. The combination of slight hot weather and tight clothing is conducive for the fungus to thrive. Topical antifungal creams such as clotrimazole, miconazole, and terbinafine are effective for treating simple forms of Dermatophytosis that is located in parts other than the scalp. The treatment involves cleansing the affected region and rubbing cream on the skin thoroughly. If the nature of the disease is serious it requires a prescribed line of treatment. This includes prescription drugs along with home care to prevent the infection from spreading. Home care includes avoiding clothing that discomforts the infected area, clean and dry the skin regularly, and wash beddings and clothes daily until the infection is completely clear. Dermatophytosis is a fungal infection of the skin caused by a fungi that feeds on keratin, a material found in the outer layer of the skin, nails, and hair. Dermatophytosis is commonly referred to as ringworm and affects both humans and animals. Common symptoms of dermatophytosis include itching, redness, and dryness of the infected area, separation of the nail from the nail bed, scaling, nail dystrophy, broken hair, hair loss, rashes, and nail discoloration. People with weak immune systems and those who play contact sports are at a higher risk of dermatophytosis. The skin condition is known to worsen during the summer with increased symptoms during the winters. On the basis of diagnosis, the global dermatophytosis treatment market is classified into woods test, microscopic test, culture test, and others. 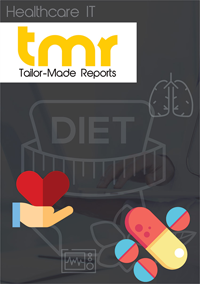 By way of drugs used, the market is segmented into Imidazole, Econazole, Clotrimazole, Miconazole, Ketoconazole, Terbinafine, Clotrimazole, Corticosteroid, Terbinafine, Itraconazole, Griseofulvin, and others. Geographically, the dermatophytosis treatment market is segmented as North America, Europe, Asia Pacific, and the Rest of the World (RoW). One of the key factors driving the need for dermatophytosis treatment is an increasing population of people with weak immune systems. The immune system weakens with age and a globally rising geriatric population contributing to the high prevalence of dermatophytosis. Apart from this, rising sedentary lifestyle and increasing incidence of hospital-acquired diseases have resulted in a higher rate of dermatophytosis. This has driven the demand for dermatophytosis treatment. On the other hand, the lack of awareness about dermatophytosis and related diseases, and its treatment options limits the growth prospects of this market. In addition, reluctance on the part of patients in receiving dermatophytosis treatment is restraining the growth of the market globally. From a geographical standpoint, North America presently dominates the global dermatophytosis treatment market, with Europe coming in second. Favorable reimbursement coverage, the availability of immensely developed healthcare infrastructure, a high rate of awareness regarding dermatophytosis, greater healthcare spending, the availability of advanced healthcare facilities, and increased awareness about the benefits of early diagnosis and treatment of dermatophytosis are some of the major factors driving the North America and Europe markets for dermatophytosis treatment. Asia Pacific possesses high growth potential in the global dermatophytosis treatment market and is likely to witness strong progress in the near future. A rapidly rising literacy rate, improving healthcare infrastructure, a rise in government support to improve healthcare facilities, and growing healthcare spending are some of the key drivers in the Asia Pacific region. The dermatophytosis treatment market in India and China is expected to grow swiftly owing to rapidly developing medical tourism in these countries. Japan is also expected to contribute to the expansion of the dermatophytosis treatment market in Asia with increased focus of the government to offer improved and advanced healthcare facilities to its citizens. Brazil, Mexico, and Argentina are some of the key countries in the Rest of the World (RoW) segment expected to demonstrate promising growth in the dermatophytosis treatment market. There are a number of players operating in the global dermatophytosis treatment market. These include Novartis AG, Quinnova Pharmaceuticals, Inc., Sun Pharmaceutical Industries Limited, Tinea Pharmaceuticals, NB Therapeutics, Inc., AmDerma Pharmaceuticals, LLC, Valeant Pharmaceuticals International, Inc., Merz Pharma GmbH & Co. KgaA, Perrigo Company plc. In addition to these, there are several research institutes and universities collaborating with drug manufacturing companies for conducting clinical trials to develop effective dermatophytosis treatment methods. Some of the key contributors are the University of Minnesota, Karolinska Institute, Katholieke Universiteit Leuven, Eastern Virginia Medical School, Kurdistan University of Medical Sciences, the Department of Health, South Africa, Jamaica Hospital Medical Center, the University of Alabama at Birmingham, The Children’s Mercy Hospital, and Oita University.